This deal is back again! 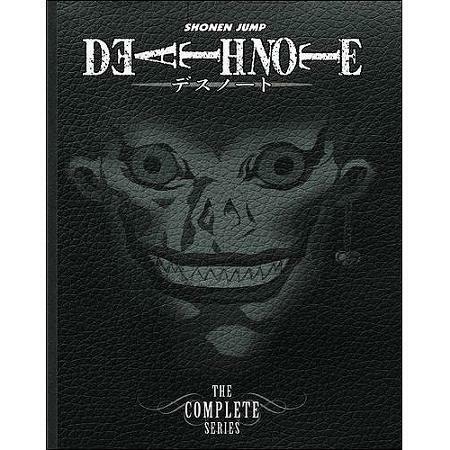 Walmart is selling the box set of Death Note for $18.96, 58% off. Free shipping on $35+ or Free store pickup eligible. This 10 disc set features all 37 episodes of the series with both Japanese and English audio tracks along with English subtitles. Amazon is also selling the box set for the same price for Amazon Prime members only. It’s time for another publisher sale at Right Stuf. Get 33% off MSRP all Vertical, Inc. titles with coupon code VERT15, and almost 40% off if you’re a member of Got Anime ($12/yr). Sale goes until August 31st. Free shipping on US $49+ or Canada at $250+. Click the banner to see all eligible titles. While this is a good sale, please be sure to check out my other deal posts for some preorder deals. For example, you can currently get Tokyo ESP 1 for only $8.77 at Amazon or Walmart, and it has been under $8 previously. This is currently 45% off for everyone compared to Right Stuf’s member discount of 40%. EXPIRED Deal Alert – PSN Flash Sale with Anime Games $8 or Less – Ends Tomorrow! While PSN (US) is constantly having a flash sale, there’s a couple of anime-related and Japanese-related games in this latest sale. View the full list here, and go here to make your purchases. Better hurry, sale ends Monday at 11 AM Pacific! Hakuoki: Stories of the Shinsengumi is historical fiction, but it features an excellent storyline even if you’re not a huge romance fan. I would recommend doing Hijikata’s route first since it covers the most history. Like Hakuoki, Sweet Fuse is a good visual novel even if you’re not an otome gamer. It has a lot of video game parodies and features a good mystery story. For the latter, make sure you follow the recommended order of Wakasa –> Meoshi –> Mitarashi –> Urabe –> Shidou –> Shirabe –> Secret. (Although you might not want to end with the secret from a romance perspective. I did Shirabe last.) Regardless, both titles are highly recommended for manga (and anime) fans! FYI, Hakuoki: Stories of the Shinsengumi includes both the enhanced port of Hakuoki: Demon of the Fleeting Blossom (which is on sale here for $4) as well as the never-before-released in English fandisk. So pick up the PS3 Hakuoki game unless you only have a PSP or PS Vita. The base game is getting a PS Vita remake, and I’d be very surprised if it doesn’t make it over here. However, the game is well worth $8 in my opinion since it’s two games in one, and I doubt all the fandisk scenes will be in Shinkai: Kaze no Shou, which is due in Japan next month. This version also features the CGs done by the original artist. Shopping online can be wonderful, but we also have to be careful. Is that low price too good to be true? How fast will they ship? Is my information secure? While we tend to stick to sites we trust and are established, the former founder of Diapers.com launched Jet, a new shopping site designed to be a cross between Amazon and Costco/Sam’s Club. I take a look at this new site and whether you should consider it for your anime and manga (and other) purchases. EXPIRED Deal Alert – Sailor Moon R Cutie Moon Rod Proplica Only $57.45 – 43% Off! While I usually post manga-related deals, this is too hot not to share! Right now at Amazon, the Sailor Moon R Cutie Moon Rod Proplica is only $57.45, 43% off the MSRP of $100. I don’t know how long the price will last, but since Amazon’s prices fluctuate constantly, I would hurry if you’re interested. The next lowest price for this item is about $70 shipped on eBay. All the lowest buy-it-now prices on eBay just dropped today, in line with Amazon’s sudden price drop. I know that’s not a coincidence. Previously, the cheapest one has ever gone was about $68 for a used/open box one. The Proplica line is Bandai’s premium prop and replica items of Sailor Moon wands and brooches. Featuring sounds and voices directly from the anime as well as Moon Kingdom base, this is a beautiful item for cosplayers or collectors. If you want to learn more about it, Sailor Moon Collectibles has a nice video review. Don’t forget to order through Amazon Smile to make a donation to the charity of your choice! Like anime-related games or games with a Japanese flavor? The Humble Store is having an Anime Weekend Sale. Get titles up to 75% off. Sale ends Monday night, 12:59 EST. There’s a lot of games on sale including action, simulation, and adventure, and 10% of all proceeds go to charity. Click read more for the full list! It’s time for another publisher sale at Right Stuf. Get 33% off MSRP all Kodansha Comics USA titles with coupon code KOD-2015, and almost 40% off if you’re a member of Got Anime ($12/yr). Sale goes until August 17th. Click the banner to see all eligible titles. While this is a good sale, please be sure to check out my other deal posts for some preorder deals. For example, you can currently get Kiss Me, Not Him 1 or 2 for only $5.25 at Walmart with free shipping. This is 52% off for everyone compared to Right Stuf’s member discount of 40%.